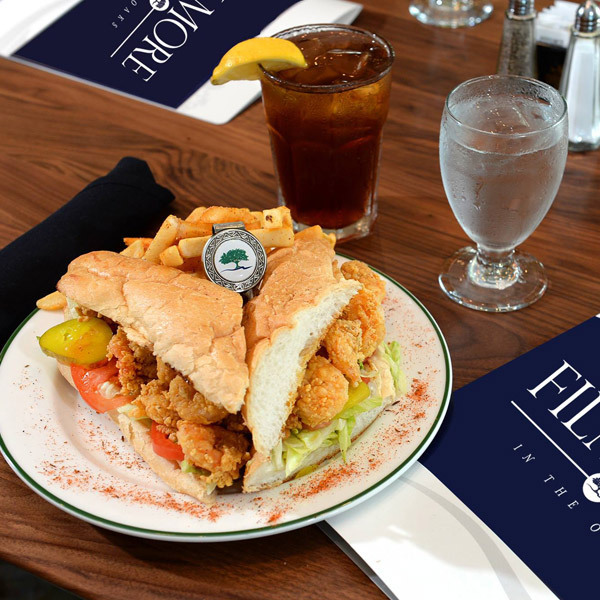 The culinary team at Filmore in the Oaks has taken pride in creating menus for any palate. We offer casual to formal dining, wherein you can enjoy a meal on our spacious veranda overlooking the City Park oaks and bayous, or relax inside in our dining area after a round of golf. We're open early for a light or Southern breakfast, a serene business lunch, or a casual dinner or happy hour with you and yours. And of course, you can always drop in for a quick bite at the bar while you enjoy the game. At Filmore In The Oaks we have a plan for anything Mother Nature throws our way, especially rain. Any time there is visible rainfall around the Filmore In The Oaks area, we will be implementing Sunset Happy Hour prices for all beverages. Whether you're on the golf course and the skies open up or are interested in a fantastic special - Whenever it rains, we pour!